Synopsis (from Goodreads.com): Alexa Hollen is a fighter. Forced to disguise herself as a boy and serve in the king’s army, Alex uses her quick wit and fierce sword-fighting skills to earn a spot on the elite prince’s guard. But when a powerful sorcerer sneaks into the palace in the dead of night, even Alex, who is virtually unbeatable, can’t prevent him from abducting her, her fellow guard and friend Rylan, and Prince Damian, taking them through the treacherous wilds of the jungle and deep into enemy territory. Review: I was destine to enjoy Defy for many reasons. I have this crazy attractions to books that are seemingly historical, whether they are or not. Actually, I think what draws me to them is not that they are historical, but that they lack much of modern technology (although, I’ve been known to enjoy a steampunk book now and again, which sort of throws this theory out a different window). The characters do not have the ease of jumping in a car or a plane and heading off to their destination. They either travel via foot or horse or whatever animal happens to be available. There are usually little to no guns, much less machine or automated guns; instead they have bow and arrows, swords, etc. I also love the fantasy aspects, magic and evil of a very dark nature. Some of the books that come to mind that fall somewhat into these categories include:Throne of Glass, Pillars of the Earth, Robin Hood, Scarlet, and Graceling, to name a few. So seeing Defy on NetGalley, and so recently after having read Throne of Glass, I knew it was for me. 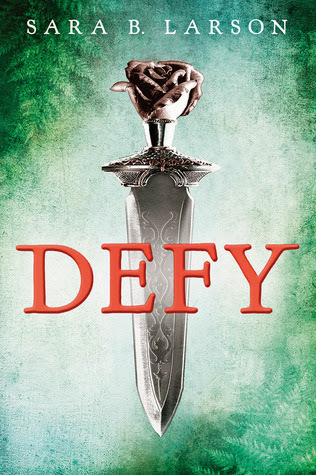 At first I was afraid that Defy was going to be a bit too much like Throne of Glass and I wasn’t going to enjoy it, but as the story line moved from the initial “I’m extraordinarily good at what I do,” phase and into the real meat of the book, it took on a life of its own. Alex(ia) shapes out to be such a three dimensional character; a girl disguised as a boy to protect herself from the terrifying breeding house. She and her brother join the army, then are able to join the guard to the spoiled crown prince, Damian. 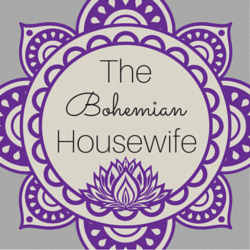 She lives in a kingdom run by a tyrant king who makes it his goal to banish all forms of magic everywhere, under the guise of revenge over his murdered wife and queen. The story-line really was the best part about Defy. I really enjoy watching it play out; Alexia determining who to trust and how far to get involved. Then as her back story starts to come out, and peoples true characters are revealed. All things that sucked me in and had me reading this book in less than two days. I also enjoy strong female characters (although unbeatable female characters, while fun, are getting to be a bit over-done). The climax/conclusion of Defy was the best! The story had its fair share of victories and heart break – and that’s not referencing the love triangle. Ah, the dreaded love triangle, we all know how I feel about love triangles. I would have to say this was a bit of a lopsided triangle, since Alexia had a few moments of vacillating before choosing her guy. HOWEVER, the ending of this book leaves me to believe book two might have more vacillating involved. I really, really hope not. I hate that. I hate books being over-run with this “I want both of them” crap. Another thing I would have to point out is that Defy was a bit heavy on the visual drooling on Alexia’s side. Rarely in a YA novel do I notice so many references to the body (chest, arms, shoulders) of the male. Yes, they usually are described (muscles, or skinny and lean or whatever) enough to give you a mental picture, then the author may go back to one defining feature (great hair, eyes, whatever) however Defy did seem to linger a bit long. As a twist to their story, I was expecting Prince Damian to hold off a bit longer and play with Alexia a bit before revealing that he knew she was a girl. It was obvious from nearly the onset that he knew, and for a while it seemed like he was going to slip up and do something awkward. I guess pushing Alexia up against a wall for a kiss while she thought he thought she was a boy might have been a bit traumatic to Alexia. If I had to stick my finger on one part of the book that made me squirm and in a way want to throw up – it would be the breeding house. It was uncomfortable to read, to say the least. I understand it’s purpose, and how we were suppose to hate the king , etc. I can’t even say that the book would be better or worse without this aspect. It was just hard to read, and almost throws this book out of YA and into the New Adult category for me. ← Book Review: Switched – Cassie Mae // GIVEAWAYS! I'm definitely adding this book to my goodreads list! And I totally agree with you about the “unbeatable girl” character…it's definitely getting nauseating lol.